It is a very interesting week concerning Mars. Russia launched their Phobos-Grunt (Phobos-Soil in Russian) mission Wednesday. This mission was the most ambitious mission since it’s failed 1996 mission to Mars, which blew up in Earth orbit. Well, once again the Russians were able to put their mission into orbit where it’s secondary rocket engine failed to ignite - twice. This mission is also a failure for the Chinese who were piggybacking a Mars orbiter on the Russian rocket. It also may be a failure for Earth in general, as literally enough rocket fuel to send a truck to Mars and back (8.3 Metric Tons) may unexpectedly be coming back to a random spot on Earth. Not only is this fuel highly explosive, but both Hydrazine and Nitrogen Tetroxide are extremely toxic. In contact with humans, Hydrazine causes the lungs to fill with fluid, causes seizures, and coma while also damaging the liver, kidneys, and central nervous system while melting skin on contact. Nitrogen Tetroxide is also deadly due to the effects of fluid accumulation in the lungs, rapid breathing, increased heartbeat, and also features the ability to turn skin purple or blue. All contaminants must be washed away with water immediately and respiratory support must also be sought as soon as possible. 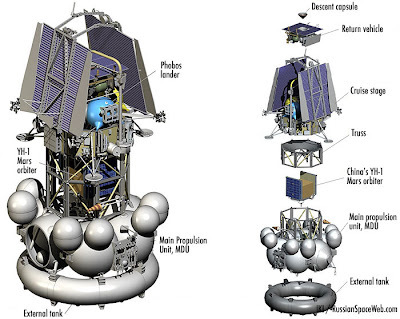 The Phobos-Grunt mission may be salvageable, but it also may return to Earth at any moment. NORAD predicts it’s return on Nov 26th, but nobody has a guess as to where it will land. Just as Phobos-Grunt is headed back to Earth, The NASA Mars Science Laboratory spacecraft with the Curiosity rover will be taking off on Nov 25th (10:25 to 12:08pm EST) on an Atlas V rocket. 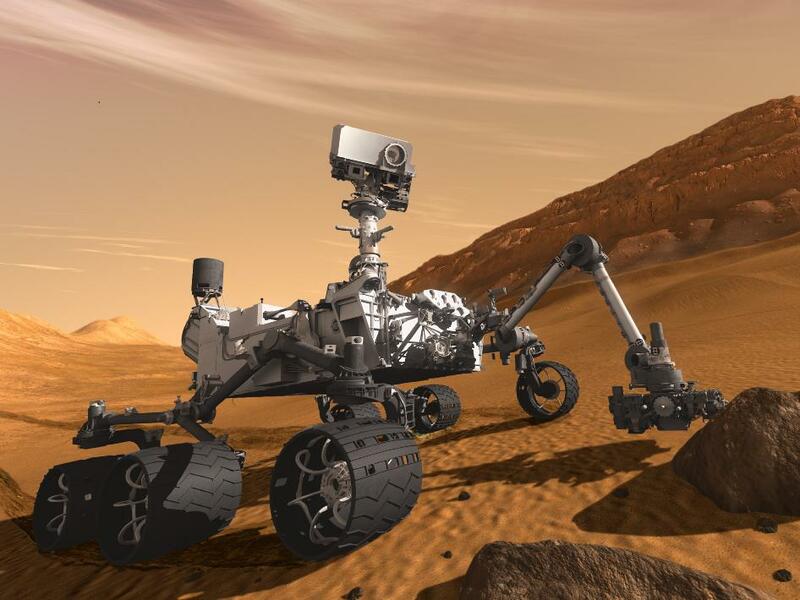 The Science Lab and Curiosity will arrive in Aug 2012 and will search for signs of life present and past, as well as look for signs that Mars could have once supported life. Curiosity rover is planned to operate for 2 years, is about 10 feet long and is the size of a mini-cooper - which is about 10 times the size of Spirit or Opportunity. It also has a much larger load of scientific equipment which may very well find signs of life and determine types of radiation present so we’ll know what to prepare for when we visit. The Mars Reconnaissance Orbiter is still active after five years and 131 terabits of information and pictures, which is more than all other interplanetary missions combined. The orbiter has also added support for other missions by providing weather reports, monitoring dust storms, and performing relay functions for Mars missions. The rover Opportunity is still active, has driven over 20 miles and is currently exploring the rim of a crater on Mars. The Mars Odyssey Spacecraft is the longest serving spacecraft at Mars and continues to monitor seasonal changes and make extremely accurate maps. Odyssey also detected underground hydrogen that was confirmed to be underground water by the Phoenix Mars Lander mission. The Odyssey spacecraft is also currently monitoring radiation levels, which it determined to be 2 to 3 times greater than found on Earth and is a major relay between active rovers and Earth. The European Mars Express mission is also currently active around Mars, most recently photographing Phobos and is responsible for finding much more water in the Martian Atmosphere than anyone previously expected. Mars Express also is busy taking photographs of the surface, although it is starting to encounter problems which might mean the end of it’s useful life. As we have seen, many nations are currently either attempting to get more information by sending spacecraft to Mars or are currently gathering data from orbit or from the surface. 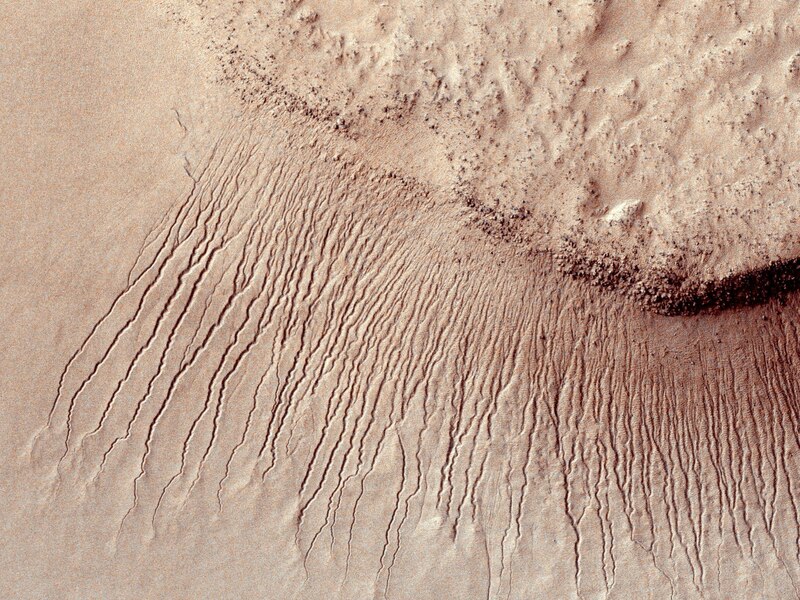 Previous and current missions have shown that we have only begun to scratch the surface of data and every mission raises more questions about the present and past state of Mars. 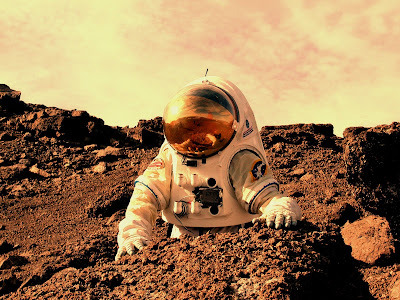 While there have been many failed attempts to reach Mars, there have also been many success stories with missions lasting longer and gathering more data than expected. Whether current missions fail spectacularly or not, we will continue to send payloads to Mars in preparation for a manned flight, Mars is still the planet closest to Earth in habitability and thus must be our first major step into the Galaxy.